Google for Jobs. Technology giant Google has entered the recruiting Industry with the announcements of Google for Jobs and Google Jobs Cloud Discovery Platform. Google for Jobs is the search engine side of Google jobs that allows job seekers to use Google to search for jobs. Google for Jobs, simply stated, takes free form searches from job seekers and uses Google's algorithms and machine learning to better match the many permutations of a job title to actual relevant jobs – regardless of title. And it gets better the more it gets used. It also returns the results in a snappy little dual pane reader for browsing and provides simple logical filters to hone in on locations, employers, and more. We have already worked with many of our customers to optimize their job listings for Google for Jobs. The Google Cloud Job Discovery search functionality uses machine learning with the goals to understand both job content and the intent of job seekers, resulting in better job site engagement, higher apply rates, and increased candidate conversion. LinkedIn continues to be a primary source for finding candidates. With 500 million members, there are great candidates for your jobs. But LinkedIn licenses aren’t cheap and can add up to six figures for many organizations. And you’re also competing with 11 million posted jobs (as of December 2017). So if you plan to attract great candidates from LinkedIn, you will need to have a longer term, more proactive engagement and nurture strategy. You need to attract those candidates in a very competitive environment. A CRM strategy, platform, and database will give you the tools that you need to compete and win for the best candidates, and increase your ROI from your LinkedIn investment. 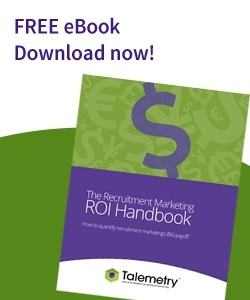 Talemetry introduced the first Recruitment Marketing ROI handbook. Measuring key metrics to assess the efficiency of any recruiting organization is key to success. You can’t manage what you don’t measure. 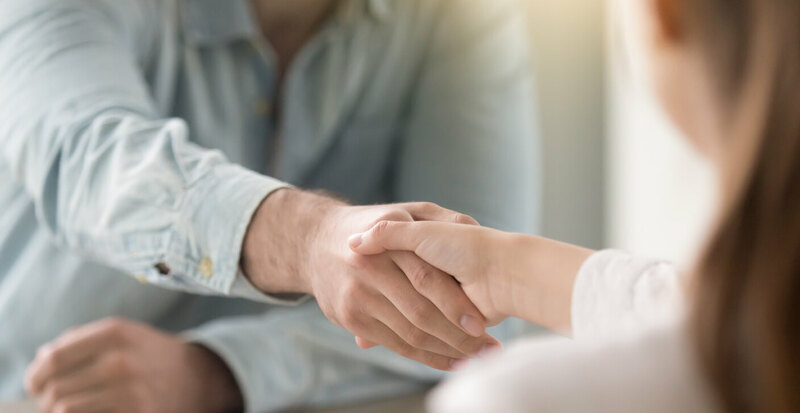 The Talemetry Recruitment Marketing ROI handbook covers key metrics including cost per hire, cost per visit, cost per candidate, cost per applicant, time to fill, visitor to applicant rate, application completion rate, and more. Companies who want to improve their recruitment marketing practices can establish a good baseline of key metrics using this handbook. Learning@Talemetry.com launched. Recruiters are improving their recruitment marketing outcomes with regular training offered by industry experts who have helped thousands of recruiters to get more of the right people to apply for the right jobs by delivering results-based attraction with strategies and practical usage to connect with and build relationships with all types of talent. We are helping recruiters to work smarter, not harder. Talemetry conducted the industry’s first application conversion process audit. 70-80% candidates drop off. That’s what many companies find in their application conversion process. Just think about it. All the investment your company has made into recruiting, and you’re losing 70-80% of your candidates once they get to your career site.The Talemetry Research Team (TRT) studied the application conversion processes to better understand the very low 20-30% industry standard conversion rates. We identified seven components of the conversion process that impacted the likelihood a candidate would convert. We researched and analyzed each of the Fortune 500 application conversion processes, graded them, and analyzed the results. The TRT then shared best practices to improve application conversion rates. It’s been an exciting year and we look forward to bringing new innovations in 2018 leading the recruitment marketing industry. What's the Real Value of Recruitment Marketing?